Oriana Skylar Mastro and Mark Stokes, Air Power Trends in Northeast Asia: Implications for Japan and the U.S.-Japan Alliance (Arlington, VA: Project 2049 Institute, 2011). The shifting balance of aerospace power in Northeast Asia is creating an increasingly uncertain strategic environment for Japan. Japan is warily eyeing China’s growing military might while also vigilantly watching Russia’s airpower modernization efforts and North Korea’s bellicose actions to the north. The weight of these developments—how newfound and resurging military power will be employed in particular—are tilting and tipping the scale of regional aerospace power. 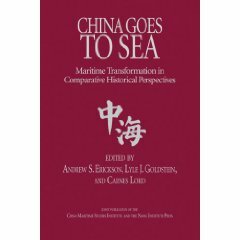 Among these, China is drawing the most attention from Japanese long-term strategic planners as the People’s Liberation Army (PLA) rapidly advances its capacity to apply aerospace power for defense against perceived threats to national sovereignty and territorial integrity. Thus far constrained by a relatively underdeveloped aviation establishment, the PLA is investing in aerospace capabilities that may offset shortcomings in the face of a more technologically advanced adversary. Today, the PLA’s growing arsenal of increasingly accurate and lethal ballistic and land attack cruise missiles serves as China’s primary instrument of aerospace power projection and strategic attack. Theater missiles—defined as conventional ballistic and land attack cruise missiles with ranges between 500 and 5500 kilometers (km)—also enable the PLA Air Force (PLAAF) to compensate for its shortcomings in the suppression of enemy air defenses needed to attain limited air superiority, strategic strike, and other roles and missions. Over the longer term, the PLAAF aspires to conduct independent strategic attack missions as well as integrated air and space, or aerospace, operations. The deployment of Russian-manufactured Su-27 and Su-30 fighters as well as advanced indigenously produced aircraft such as the J-10 moves the PLAAF closer toward this goal. In addition to the sizeable number of aircraft currently in production, China’s fifth-generation fighter, the J-20, conducted its maiden flight in January 2011 and U.S. intelligence community estimates currently anticipate the J-20 to achieve initial operation capability (IOC) around 2018. China is not the only country in the region modernizing its air fleet, however. Russia launched an air power modernization program in 2008 to deal with its aging fleet and plans to field 50 to 60 of its own fifth-generation stealth fighters, the Su-50, by 2016. Lastly, even though North Korea does not pose an offensive threat in terms of fighter and strike aircraft, its missile development program has been a consistent headache for Japanese security specialists. 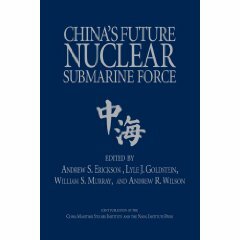 In particular, many Japanese leaders have expressed concern that in a military conflict on the peninsula, their country would be a primary target for the estimated 200 medium-range ballistic missiles (MRBMs) currently in the Democratic People’s Republic of Korea (DPRK) arsenal. In the face of this shifting aerospace balance, Japan’s Air Self Defense Force (JASDF) is planning to bolster its own air power stance. Desires to strengthen Japanese air defense have been tempered by longstanding fiscal woes and further complicated by the tragic triple disaster in early 2011. Barring decisive fiscal action, Japan will be faced with an existing public debt at a staggering 225.8 percent of GDP, disaster recovery costs of approximately $300 billion, a possible ¥10 trillion ($122.53 billion) budget deficit by 2015 according to the Economic and Fiscal Policy Ministry and other Japanese government estimates. Though defense spending has remained at a steady one percent of GDP for the last decade, actual expenditure has been declining slightly since the early 2000s. Even though the exact impact of the recent disaster on Japanese military expenditure is still undetermined, support for greater acquisitions may take a backseat to more pressing reconstruction and economic priorities. This study will assess the steps that Japan should take to bolster its air power stance and how the United States can contribute to these efforts. Currently the JASDF operates approximately 350 fighters, including F-15J, F-4EJ, and F-2 fighters, but plans to shift to a smaller, more technologically advanced force of 260 aircraft. Traditionally, the JASDF has operated a front-line fighter fleet concurrent with the United States and has co-produced a number of American aircraft starting with the F-86 and continuing with the F-15 and F-2 fighters it currently deploys. The United States has a great interest in a stronger ally, a more capable JASDF that could take on a greater share of the security burden in Asia while advancing common strategic interests. Looking forward, in the wide spectrum of issues in which the interests of U.S. and Japan align, both parties and the Alliance stand as the ultimate beneficiaries of greater interoperability and closer cooperation in the realm of air power. 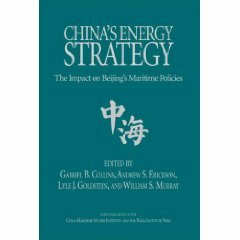 For the full text of the J-20 analysis cited in this paper, see Gabe Collins and Andrew Erickson, “China’s New Project 718/J-20 Fighter: Development outlook and strategic implications,” China SignPost™ (洞察中国), No. 18 (17 January 2011). 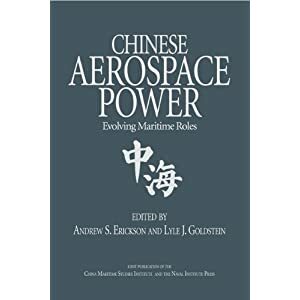 For a comprehensive analysis of PRC aerospace development, in which Mark Stokes has published a chapter, see Andrew S. Erickson and Lyle J. Goldstein, eds., Chinese Aerospace Power: Evolving Maritime Roles (Annapolis, MD: Naval Institute Press, 2011).